I help people come alive. Being “fully alive” does not happen automatically and without effort. In the normal rhythms of life, everyone experiences periods of difficulty. The difficulties, if unaddressed, can drain the life from us. 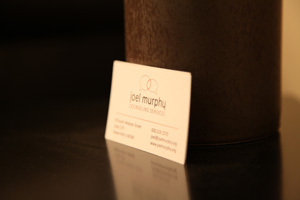 I am a therapist, and Joel Murphy Counseling Services is my private practice in downtown Naperville Illinois. I believe therapy can be a safe place where these difficulties can be addressed. When done well, counseling is more than simply “solving problems.” Good therapy also includes looking beneath the surface of the difficulties to understand the underlying structures that support and drive the problems. By inviting the therapist into the difficulties and having significant conversations about what’s troubling them, clients begin having transformative experiences that are beyond simple behavioral changes. They begin to come alive. Entering into therapy is an important and potentially life changing decision. Please takes some time to explore my site, and see if I might be a good fit for you.